All too often when eastern kitchens open up in western countries, a “dilution” occurs, making foreign food more palatable for local palates. And none seem to suffer this translation more so than south east Asian cuisine. But from time to time a courageous team will open an uncompromisingly authentic bistro that will either lure the locals in or frighten them all away. 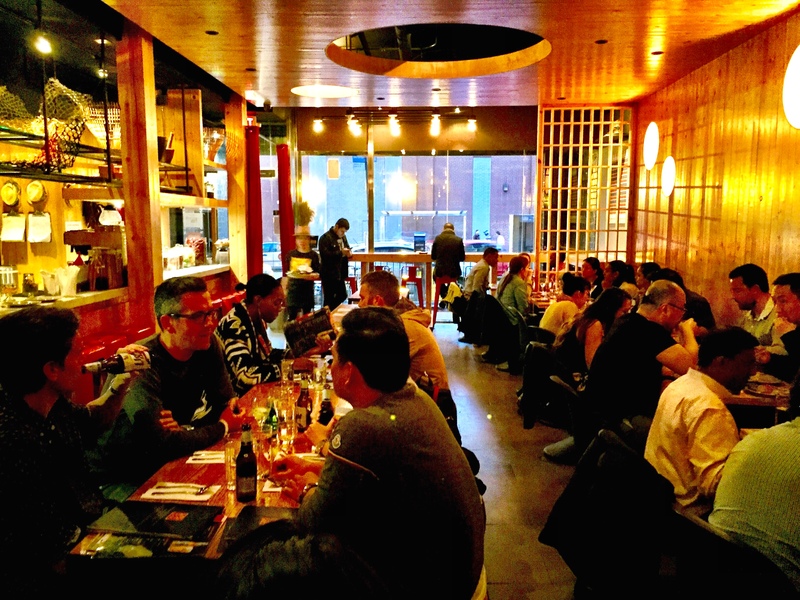 Such is the case with Somtum Der, a replica of one of Bangkok’s most celebrated restaurants – right in the heart of the East Village. The majority of the menu offers genuine Isan (northern Thai) street cart food, which might be lighter on sugar – but way heavier on chilies – than most other Thai joints around town. 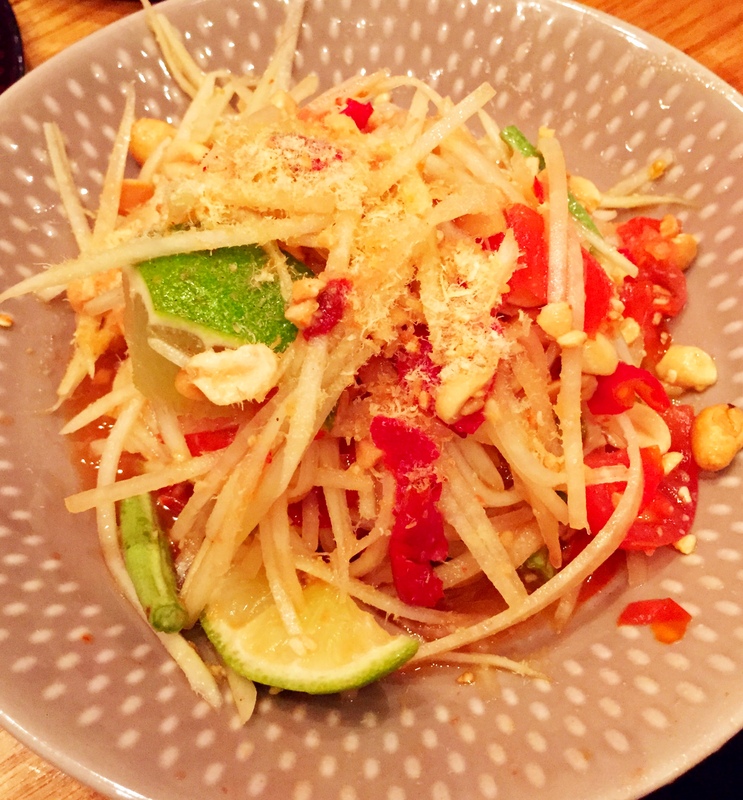 The no-frills, pine bench-and-board dining room gets its name from the most famous of all Isan dishes – “Somtum” (Papaya Salad), while “Der” means warm invitation (or perhaps more fittingly – we dare you!). The $13 or less, full-color, photographic menu condenses the ordering process substantially, as what you see is precisely what you get. And what you get arrives in a relentless air raid of plates, baskets and dipping jars. 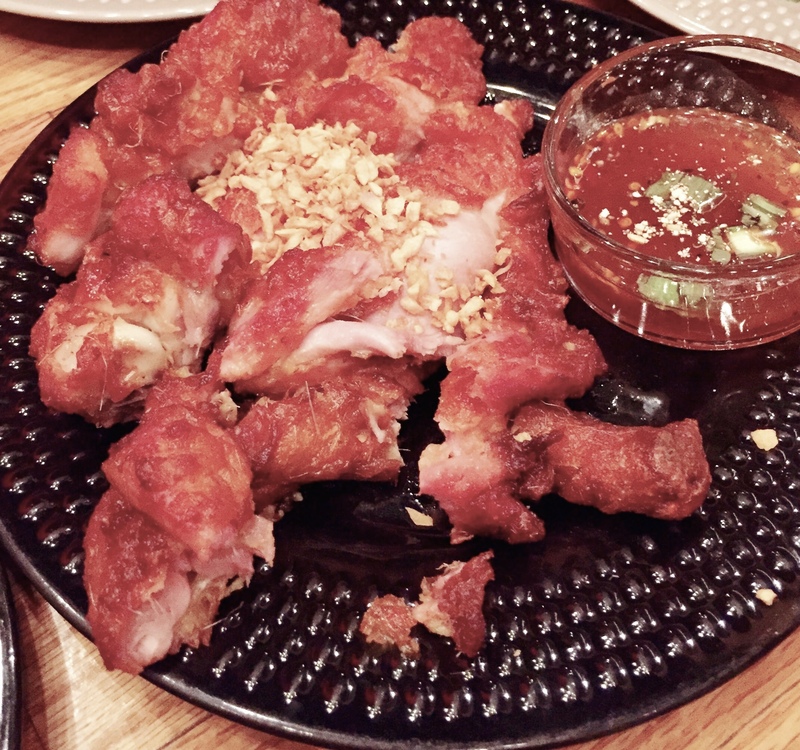 Working clockwise from where I sat, there was the wondrously crunchy Deep-Fried Chicken Thigh with a blond dusting of indulgently fried garlic served with a lime, chili and fish sauce dip. 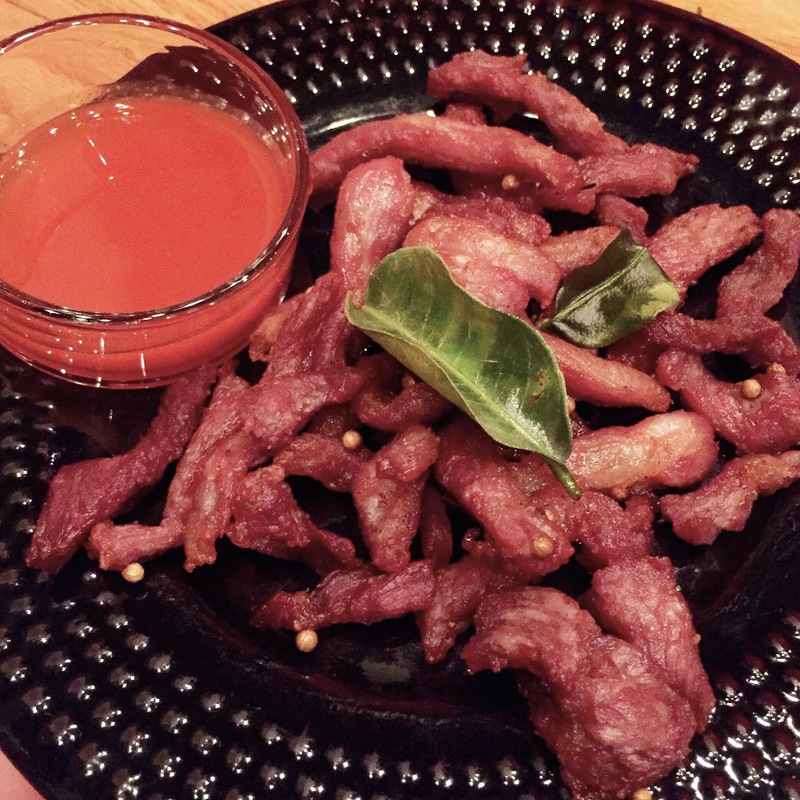 Right next to it were the most unbelievably moreish strips of Deep-Fried, Sun-Dried Pork with a tangy, salty, vinegary and slightly fruity hot sauce. 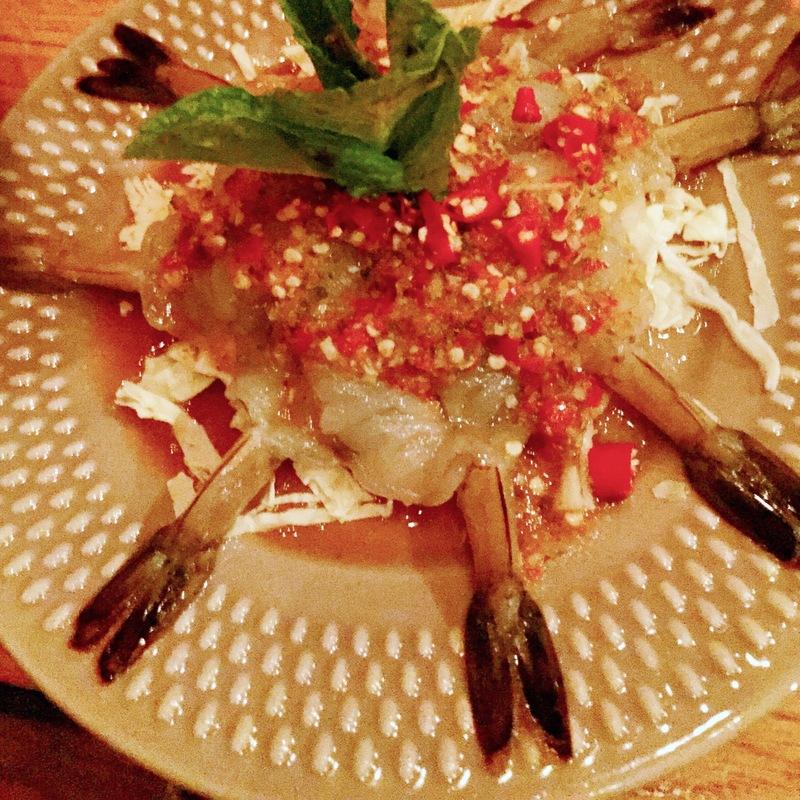 Also within arm’s reach: a tight carousel of briny, savory, fresh Shrimp Sashimi with a green chili sauce. I don’t think I’ve ever bitten into shrimp so raw that I was concerned it might bite me back! 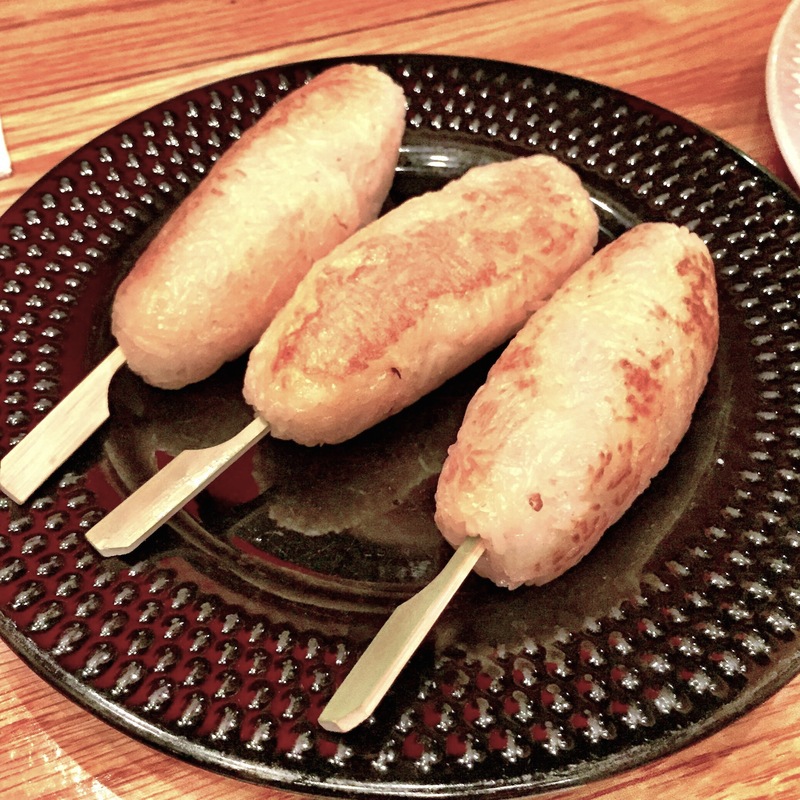 The sausage-shaped cones of Grilled Sticky Rice were a great way to either neutralize the palate for thirty seconds, or dip and splash into the armada of sauces across the table. The only dish the waiter insisted we try was the Spicy Duck Salad with mint and chilies, which turned out to be a sharp and sweet interlude before the House Special Grilled Marinated Beef.Each finger-long strip was dusted with a coating of warm, crunchy spices that elevated the tender beef to a deeply flavorful and complex umami taste – before being dunked into yet another bracingly sharp fish sauce bath.